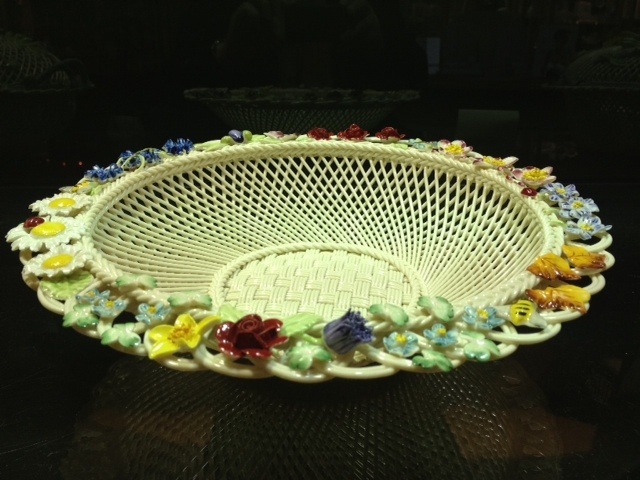 Belleek Pottery was founded 156 years ago by John Caldwell Bloomfield of Castlecaldwell Estate in an attempt to alleviate the plight of his tennant farmers in the aftermath of the famine of 1845. Having discovered the raw materials, kaolin clay, feldspar etc on his land he then acquired two partners Robert Williams Armstrong (yes the great, great, great grandfather of the first man to set foot on the moon) and David McBirney from Dublin. Sheer determination saw them harness the power of the river to drive the waterwheels and bring the railway to Belleek to deliver the coal that would fire the kilns. Most importantly they tempted 14 master craftsmen over from Stoke on Trent in England to produce the highly crafted parian china masterpieces that made Belleek into the international known brand it is today. The first of those pieces was a highly ornate 28” high vase attached to 3 Irish wolfhounds at the base which is on display at the Visitor Centre, in Belleek. 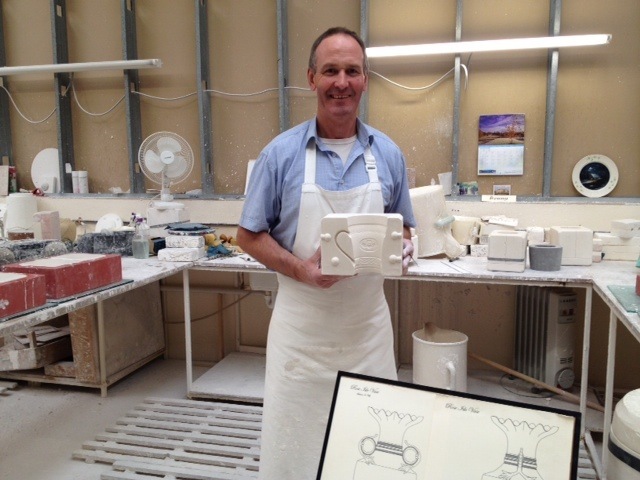 I really enjoyed my visit to Belleek Pottery and would highly recommend taking a guided tour of the factory which gives a detailed insight into the various intricate processes, old and new, that go into making each individual piece of fine china. From designing the moulds that will be filled with slip (molten clay) fettled (trimmed) and then fired, glazed and tested. Such is the level of quality control that strictly no seconds are ever allowed. And just to prove the point, visitors are invited to put on goggles and given a hammer to smash as many inferior pieces as they would like which makes for an alternative anger management technique should you be so inclined. All of the baskets are still handwoven in clay and decorated with handmade flowers (an apprenticeship takes 3 years) before being painted and finished off with an offical trademark stamp which is sealed onto the piece accompanied by the painters initials. So each individual piece can take several days to produce and will possibly have being handled by at least 6-10 highly talented craftspeople which results in that extra special personal input that you are never going to get from a regular mass produced factory piece. 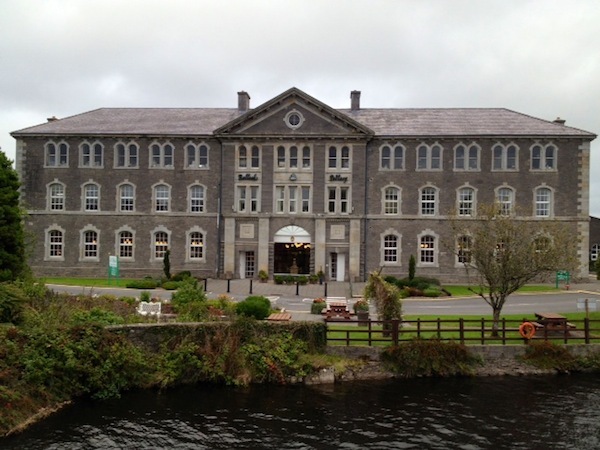 For more information about Belleek Pottery please click here. For more Things to Do and See in Fermanagh please click here.